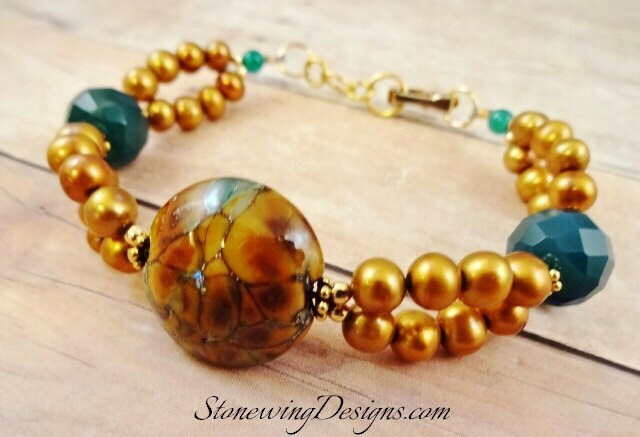 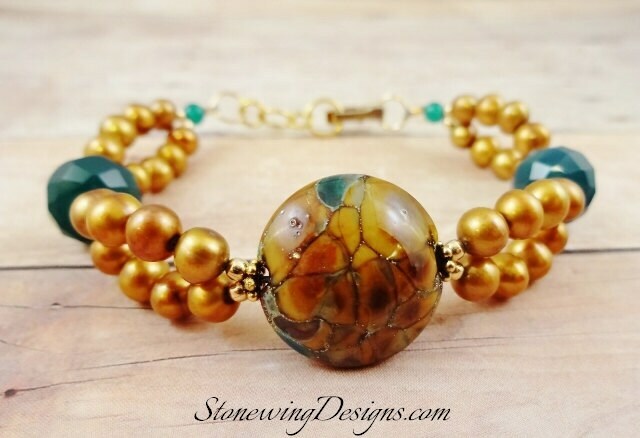 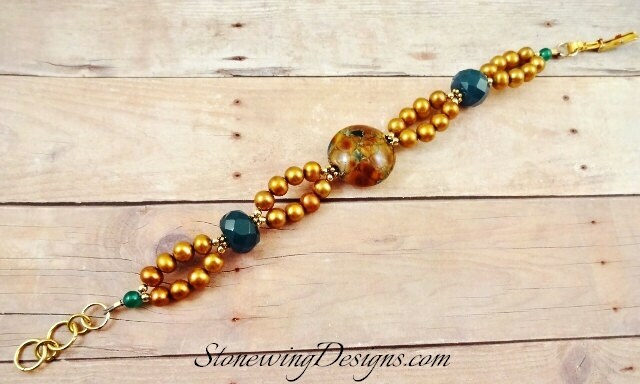 This beautiful bracelet starts with a gorgeous handmade lampworked glass bead with greens and golds and strings of golden sparkles. 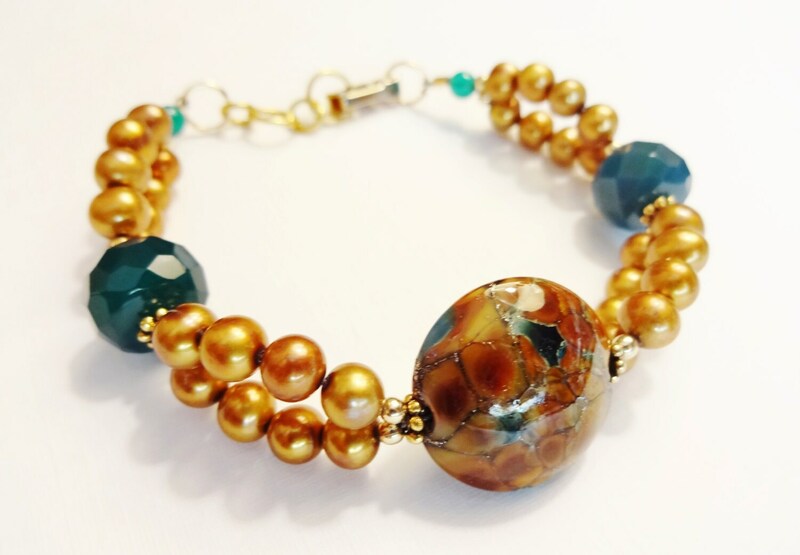 Gold freshwater pearls and faceted rondelles of Green Onyx bring out the richness of the glass and make this piece a standout in casual elegance. 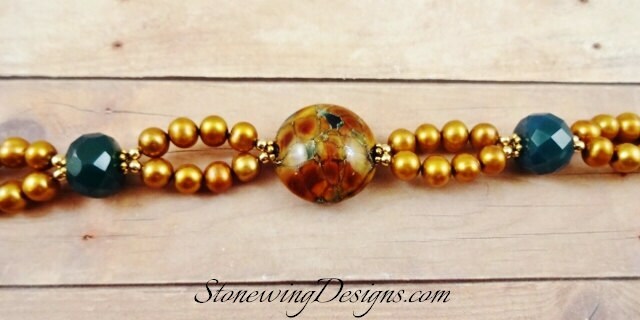 Gold daisy spacer beads, 14k gold fill 2.5mm spacer beads and a gold chain of jump rings add to the elegance.